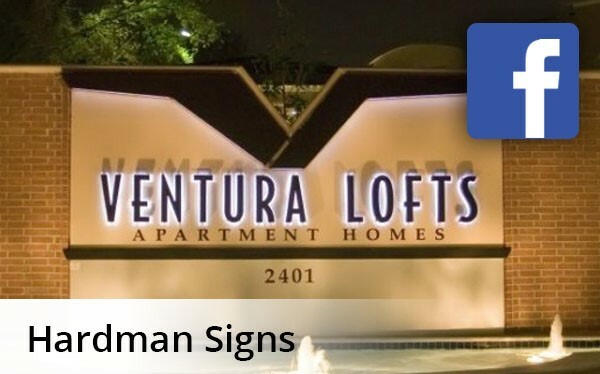 Try simple and long-lasting solar signs from Hardman Signs for an energy-efficient solar sign solution. Solar sign lighting is an optimal system because it's stylish, sustainable and increases your bottom line - batteries are charged by sunlight and a solar device - which our engineers design to be small enough to attach to your signage - runs off of the battery at night. This allows for all-night illumination of your signage, boldly showcasing your company's name even at night! We employ a dedicated team of solar signs experts who will meet with you to understand your requirements, and will create the solar powered signs that match your brand name and identity. Our trained installation and maintenance experts are available for round-the-clock solar sign lighting repair services. Contact Hardman Signs today. We have the equipment and the expertise to create the solar signs that you need. We're based in Texas and Georgia, and we produce top-quality Houston solar signs, Austin solar signs and Atlanta solar signs. To learn more, fill out our no-obligation quote form or call us today with your requirements.